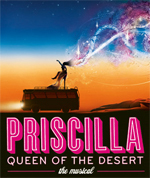 Musical Theatre News: Priscilla Queen of the Desert to close after Christmas? Priscilla Queen of the Desert to close after Christmas? The musical Priscilla Queen of the Desert is currently playing at the Palace Theatre in London's West End and is currently booking to 7th January, 2012. The producers made the decision today to inform the London cast and crew of the likelihood that the show would end its three-year run in the West End at the end of 2011. No formal notice has yet been given. :O THIS CANNOT BE ALLOWED! I won't survive a year without my regular Priscilla fix! Maybe the Priscilla fans will give the show enough support this year for the producers to keep it on past Christmas, but I suspect the Palace is already earmarked for another big musical. Hopefully Priscilla will eventually go on tour to the larger UK venues like Oliver! is about to do. 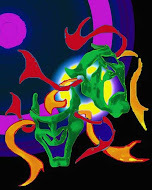 I went to the matinee yesterday. The theatre was packed. Touring not good enough. How do we campaign to keep it in London? I went to the matinee last Thursday and have immediately booked to go again; It's the best thing i've ever seen in the West End. it's CRIMINAL it's finishing at the end of the year. who is responsible for it's closure? ?